The government hopes that this initiative will make life much easier for businesses with fewer forms to fill in (including the end of the annual tax return), make budgeting easier, and reduce the chance of errors. It’s estimated that it will save businesses £400m a year in reduced bureaucracy. Although the first deadline to pay attention to is April 2019 (as we will discuss below), in reality, it could be as early as May 2018 for you. Every individual and business will have a single personalised digital tax account where they can get a complete overview of their tax affairs. In this account, you will be able to see what information is being held about you and update it. You will also be able to register for taxes, file returns, see what taxes you owe (or have paid) as well as any entitlements, pay any tax owed and change the allocation of your personal allowance between jobs. Communication with HMRC, such as advice or prompts, will be able to be done securely through webchat and secure messaging, at a time to suit you. Everything will be as close to real time as possible, ensuring you don’t have to wait until the end of the year to see how much tax you will owe. This will stop big scary bills, and make it easier to budget. HMRC department systems will be joined up and communicate better with each other so that you won’t have to tell HMRC any information they already have in another department, and it will already be filled in on any tax returns you have to submit. HMRC will be able to get information from third parties e.g. banks, employers, other government departments, reducing the amount of information you need to give them. For example, they will get details on interest you earn in your savings accounts directly from your bank/ building society and automatically include it in tax codes. The annual tax return and self assessment will be abolished. There will be a new online billing system to collect tax. The government are also consulting on giving businesses the opportunity to make regular payments to cover the tax they owe. 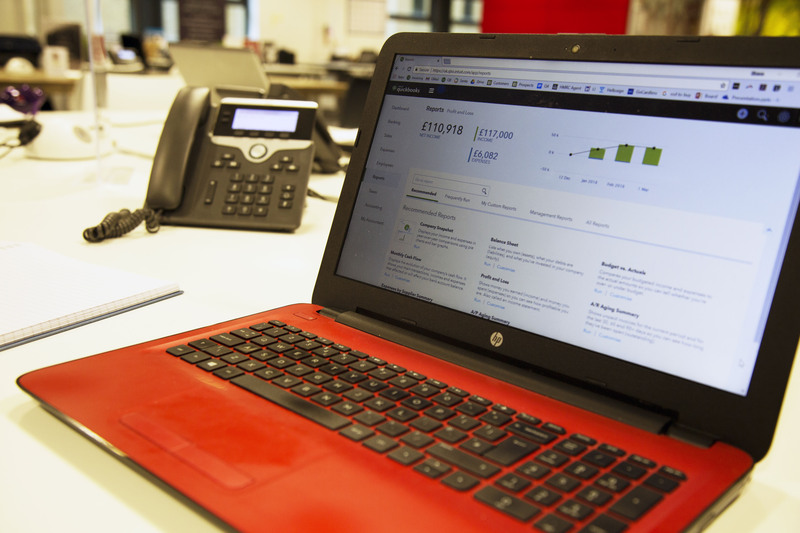 You will be able to submit information directly to HMRC from within your accounting software at the touch of a button. This will need to be done quarterly to keep information up to date. Businesses will be required to keep records of their income and expenditure online using accounting software such as Quickbooks or Xero. Originally, the government planned to have everything in place by 2020. However, following consultation on the changes, the chancellor announced in 2017 that they wanted to slow down the implementation. While some of the above plans, such as the digital tax account for each individual and business, have already been implemented, other changes have been postponed, particularly for smaller businesses. The first big requirement for businesses to be aware of is that from April 2019, businesses who are VAT registered will have to keep their records (such as all receipts and invoices) digitally and provide HMRC with quarterly updates on their VAT. However, as we mentioned at the beginning, the April 2019 date is only the official date. In reality, there is also the preparation time you will need to take into account if you are going to be ready for the deadline. This is particularly the case if you do not currently use an accounting software for your accounts. Because it is quite a hassle to change over to a new accounting software half-way through your accounting year, it is best to do this at the beginning of your accounting year. This means that in order to be ready for the April deadline, you will need to start using an accounting software at the beginning of your accounting year. So somewhere between May 2018 and April 2019, you will start a new accounting year. It is at this point, you need to start using the accounting software (if you don’t already). Not only will this enable you to enjoy all the benefits of using online accounting software, but you will be starting to comply with HMRC’s requirement to store all digital records online and will therefore be ready to submit your first VAT return through their new Making Tax Digital system when the deadline arrives. Once the government has proved the system works, they will then start to roll out the use of the system to all businesses in the UK, but this will not take place until April 2020 at the earliest. Part of the reason for delaying it, is to give time for people to get used to storing receipts and creating invoices, online. This means that it is a very important habit to get in to because soon you will be required to do it anyway. We hope this blog has given you a good introduction to some of the changes being planned and how it will affect you and your finances as a business. PayKeeper is more than just your standard accountancy firm, our aim is to help people live deliberate and intentional lives, a process that starts with helping franchisors and franchisees to set clear business goals, understand their finances and measure performance. By working closely together, PayKeeper enables franchisors to create unique franchise packages that help sell more franchises, understand what’s happening throughout their network and increase the turnover of each franchise. Through personalised mentoring, hand-holding with difficult aspects of accounting, and using cloud accounting software to make bookkeeping easy, simple and compliant with HMRC, PayKeeper give franchisees peace of mind and more time to focus on what really matters – growing their business and living the life they dream of. If this is something we can help you with, call 0330 111 66 33, email info@paykeeper.co.uk or visit www.paykeeper.co.uk. Follow PayKeeper on Facebook and Twitter @PayKeeperLtd.